Golden Boy Promotions and Eye of the Tiger Management, in association with Frank Warren and Vidéotron, today hosted a media workout for the upcoming WBO Middleweight World Championship fight between Billy Joe Saunders (25-0, 12 KOs) and David Lemieux (38-3, 33 KOs), set to take place this Saturday, Dec. 16 at Place Bell in Laval, Quebec, Canada. The evening’s co-main event will feature Antoine “Action” Douglas (22-1-1, 16 KOs) against Gary “Spike” O’Sullivan (26-2, 18 KOs) for the WBO Intercontinental Middleweight title while Cletus “Hebrew Hammer” Seldin (21-0, 17 KOs) will face off against Yves Ulysse, Jr. (14-1, 9 KOs) in the opener of the HBO World Championship Boxing event that will kick off live at 9:40 pm ET/PT. “I’m used to fight outside the UK, I’m a traveler of the world. I don’t care if there’s a million people. It’s just me and him in that ring, end of the story. As for the rest, I don’t care. “I’ve never said that I doubted his chin. Regardless he will hit the floor. And whether I win by knock out or go 12 rounds, it’s no matter. But I will drop him and I will hurt him. Visit www.goldenboypromotions.com, www.eottm.com, www.frankwarren.com, www.StarBoxing.com and www.hbo.com/boxing for more information. Follow on Twitter at @GoldenBoyBoxing, @EOTMVD, @hboboxing, @bjsaunders_, @LemieuxBoxing, @Action_Douglas, @spike_osullivan, @StarBoxing, @LifeOfCletus, @frankwarren_tv; and become a fan on Facebook at www.facebook.com/GoldenBoyBoxing. 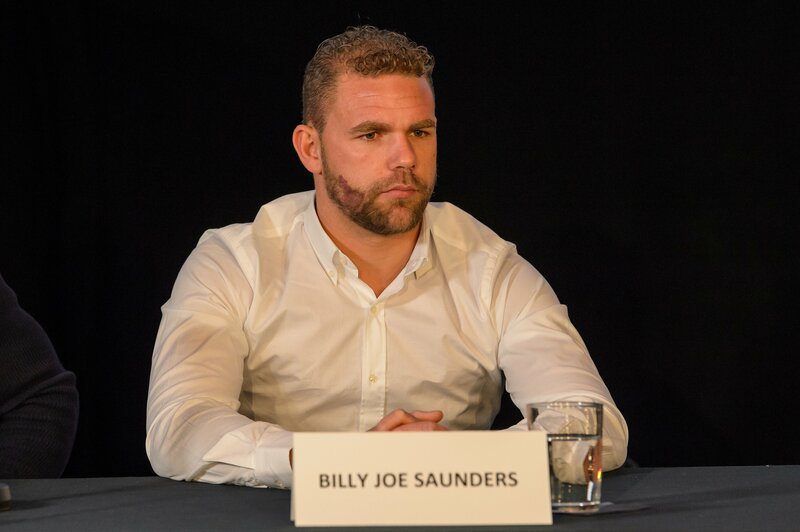 Visit us on Instagram at @GoldenBoyBoxing, @eottm_boxing, @saundersbillyjoe, @davidlemieuxboxing, @action_douglass @garyspikeosullivan, @StarBoxing, @BearJewUSA; and follow the conversation using #SaundersLemieux.